See-Thru Clipboard offers a slot on the side that allows paper to be inserted, protected and viewed easily on both sides. Design is water-resistant and lightweight. 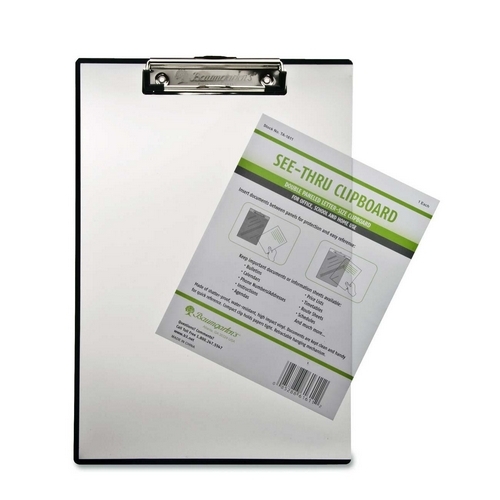 Vinyl clipboard features a compact clip and retractable hanging mechanism.